"Man is a mystery. It must be solved and if you solve it all your life, then do not say that you lost your time. I am engaged in this secret, because I want to be a person." F.M. Dostoyevsky. The corner house in Kuznechny Lane 5/2 three times became the "house" of Dostoevsky: in 1846 he lived there for short time, working on the story "The Double". From 1878 until his death /1881/ Fyodor Mikhailovich and his family rented 6 rooms here and finished the "Brothers Karamazov". And in 1971 the literary memorial museum of the greatest writer of Russia was opened there. We can say that with that house his life there in St. Petersburg began and ended, however, in fact, for all 28 years of living in the Russian capital Dostoevsky changed 20 apartments, never possessing his own. It is interesting that in none of them did the writer live for over than 3 years, and mostly Dostoevsky's Petersburg homes were usually located exactly at the crossroads and represented the most ordinary profitable houses of the city. St.Petersburg of Dostoevsky as the people inhabiting these houses, including their basement and attic rooms, and the "sinister city" Petersburg itself were mirrored in the heroes, vicissitudes and events of the novels. "Crossroad", "alley", " corner", "basement", "wall", "fence" – in that particular manner a city-phantom, a city-ghost Petersburg "encircled" in their "decorations" consciousness and attitude of heroes, and even writer himself. 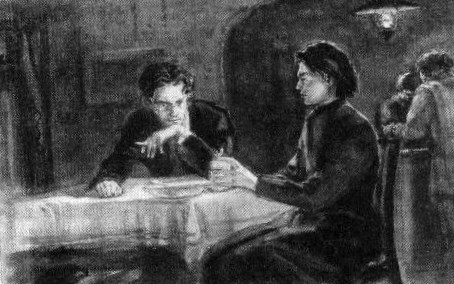 It is known that Fyodor Mikhailovich was sent to katorga after might-have-been hanging, that was staged by the authorities, for participating in Petrashevsky society, often compared his literary career with hard labor, and the last one writer considered more bearable. In fictional prose of Fyodor Mikhailovich you can find both real "addresses" and fictional ones - built on and indiscriminately placed by the writer's imagination. Real Petersburg was made by the writer an active hero, mysterious and fantastic in its duality, insane in its vulgarity and prosaism. That way the city became the "Petersburg of Dostoevsky" - an artistic anamnesis of the Russian soul. "It is always said that reality is boring, monotonous, and people use art, fantasy, read novels to amuse themselves. For me, on the contrary, what can be more fantastic than reality? What can be more incredible than reality?" – F.M. 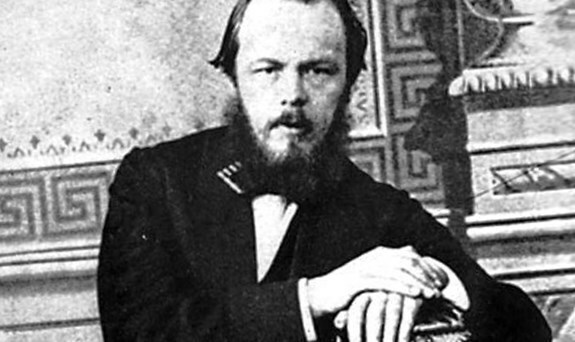 Dostoyevsky. The windows of the Petersburg house on Kuznechny Lane in apartment 10 go to the Vladimir Church, a parishioner of which was Fyodor Mikhailovich. Nowadays, one of these real windows is the only one open among the created space of the literary exposition in the writer's house-museum, the rest windows are the decoration of the black "double" and reflecting space. In the writer's office there is an icon in the silver setting "The Mother of God Joy of All Who Sorrow", in his works - eternal questions to God and spiritual torments in search of truth. This is the atmosphere of Fyodor Mikhailovich, shaped by him and recreated in the museum. The whole memorial part was carefully restored with the help of archives, and it represents the interiors of the office, living room, hallway, dining room, children's room and the room of Anna Grigorievna, the writer’s wife. A valuable collection passed by a grandson of the writer Andrei Fyodorovich, became at some time the foundation of this museum. Now the library of the writer's house consists of 24 thousand books and a small hand-written fund, the exposition is full of collections of graphics, photographs and objects of applied art. House at Kuznechny - not only a memorial collection of exhibits, on the so-called "second level" museum workers tried to show creative process of the writer. The third level, representing Dostoevsky's art space, is technically brought more in line with the multimedia modernity - monitors and video programs, information, screen versions and documentaries. Seminars and conferences are held in the halls of the exposition. At the museum there is a FMD theater, in the evenings plays are played in the house of Dostoevsky. Except the Dostoevsky Museum Theater, the "White House" Theater, Theater "Puppet Format", "This House" and others perform at the House at Kuznechny. A. Wajda experimented there, and the juvenile convicts of Kolpino colony debuted there as artists. Beside that the Dostoevsky House Museum holds expositions of photo exhibitions and exhibitions of contemporary painting, as well as meetings with leading writers and cultural figures. 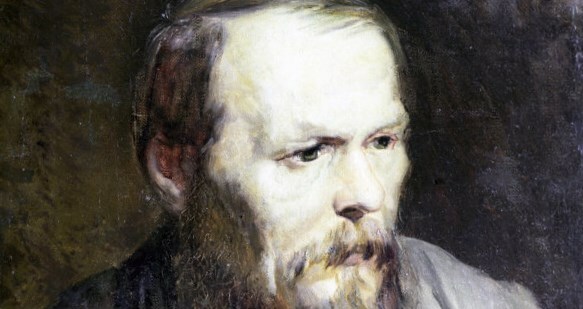 Since 2010, St. Petersburg officially celebrates the day of Dostoevsky – on the 3d of July. At the premiere of this holiday Fyodor "spoke" with St. Petersburg residents in the metro, "walked" on Kuznechny Lane and Dostoevsky street, "read aloud", together with the citizens, "Crime and Punishment" in the street, "participated" in a bright flash mob showering passers with flour and confetti. And this is also Petersburg of the author of "Demons", the city of the great Russian proser, who you can visit coming up to the second floor of the house at Kuznechny Lane and ring the doorbell with the sign "Fyodor Mikhailovich Dostoevsky".